Back-to-School season seems to bring stress to many people. Schedules fill and something simple like a grocery list falls through the cracks. If you have a freezer full of meals or a plan ready for this time of year, good on you! If not, keep reading. Eating well doesn’t have to be a chore during these busy times. Making healthy meals and snacks a priority is the biggest hurdle. Approach the tips and recipes below with confidence. Doing so will help your kids (and you) focus and perform better. -Trailmix: opt for homemade and keep it nutrient dense by using hardier nuts like walnuts and almonds. Also use seeds, dried fruit, a good quality dark chocolate chip, maybe some jerky bits. 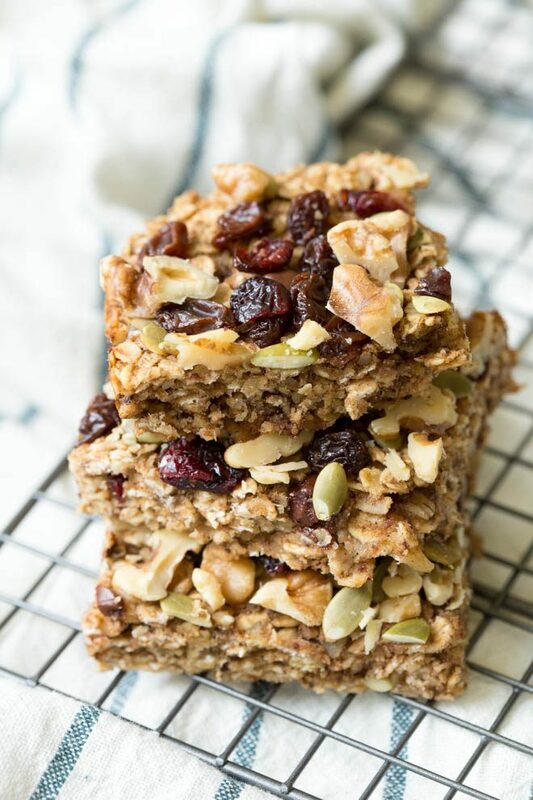 -Bars: simple ingredients and low sugar (5g or less) are good guidelines. Recommended brands include Kind, HappyTot, Health Warrior Chia Bars, Larabar Renola, Nature’s Path, and Cascadian Farms. *meal replacement bars are completely different from a snack bar, pair granola and nut bars with fruit/veggies/jerky to make it a complete snack. -Protein: a protein based snack will last longer than a handful of crackers. Think nuts, hard boiled eggs, jerky, meat sticks, a good quality lunch meat, nut butters, and cheese. Pair your protein with veggies or fruit, the vitamin C will help the iron get absorbed, win! -Speaking of fruit and veggies: they’re also good snacks. Attempt to have more available than baby carrots, variety is necessary. Also dip veggies in hummus, guacamole, salsa, nut butter or a good quality mayo based dip (like dill). -Salty snacks: an afternoon crunch but instead of traditional corn or potato based chips try some salty nuts. Other options include plantain chips, sweet potato chips, kale chips, and zucchini chips.